About eight decades ago – on Jan. 22, 1939 to be exact – a fledgling manufacturing company was born when E. Carl Kiekhaefer left his family farm and purchased a bankrupt manufacturing company – as well as hundreds of flawed outboard engines that came with it – in tiny Cedarburg, Wisconsin. Kiekhaefer fixed and sold the engines, abandoned his plans to manufacture farming equipment and poured his heart and soul into engineering the most innovative – and fastest – boat motors on the planet. Kiekhaefer could not have predicted from those humble beginnings that his company would one-day lead the marine-engine world in innovation and distribution – but that’s exactly what happened. Today, Mercury is the largest manufacturer of recreational and commercial marine engines, and it doesn’t stop there. Mercury continues to introduce innovation after innovation, making boating easier and more enjoyable everywhere. In 1946, Mercury moved its headquarters to nearby Fond du Lac, Wisconsin, and over the years has delved into other industries, such as chainsaws and drones for the U.S. Air Force during World War II. Mercury also manufactured snowmobiles in the 1960s. In the 1950s, Kiekhaefer created a NASCAR team to bring attention to Mercury products. The team competed for only two years but won the NASCAR Grand National championship twice. Mercury changed the face of NASCAR with such innovations as putting its pit crew under a stop watch and putting its racing team in uniforms. Despite its brief appearance on the racing circuit, Mercury still owns several NASCAR records. Today, 3,200 of Mercury’s 6,000 global employees work at its Fond du Lac facility. Each employee around the world contributes to the growth of the company, said John Pfeifer, president of Mercury since 2014. Pfeifer previously served as vice president of Mercury Global Operations and as president of Brunswick Asia Pacific Group in Hong Kong. Brunswick is Mercury’s parent company. Pfeifer has seen and created growth in many areas, including revolutionizing the product line as engines moved from two-stroke technology to four-stroke; digitalization of products, including the addition of electronic controllers, such as joysticks and digital anchors; and connectivity, in which boat owners can be connected to their vessels and their dealers, allowing them to learn about a potential issue before it becomes a problem. Since 2008, Mercury has invested more than $1 billion in infrastructure, equipment, environmental stability and research and development – including a $25 million assembly line and a $10 million sound and vibration facility in 2018. In 2018, Mercury launched 27 new engines – 17 of them comprising Mercury’s new V8 and V6 lines of powerful, light, fuel-efficient and innovative Verado, FourStroke, Pro XS, SeaPro and Racing outboards. The response from the boating world was resounding, marking the latest chapter in Mercury’s history. In 1939, after rebuilding the flawed engines that came with the company he purchased, Kiekhaefer prophetically names them “Mercury” after the mythical god of speed. At the 1940 New York Boat Show, Kiekhaefer displays his engines for the first time – then takes orders for more than 16,000 engines. To meet the explosion in demand, in 1946 Kiekhaefer purchases a dairy farm in Fond du Lac, Wisconsin – still filled with 90 tons of hay – and converts it into Kiekhaefer Corporation headquarters. At the 1947 New York Boat Show, Mercury introduces the Lightning outboard. Kiekhaefer displays two Lightning engines that ran a total of 75,000 test miles – an early taste of the company’s growing passion for testing and perfecting. Mercury also launches its rich history of racing excellence in 1947 when it wins the Albany-to-New York marathon boat race. The revolutionary MerCruiser sterndrive engine is introduced in 1961, offering the world’s first sterndrive engine of more than 100hp. Also in 1961, Kiekhaefer Corporation is purchased by Brunswick Corporation and, in 1971, becomes Mercury Marine. Mercury astounds the marine industry in 1996 when it introduces the OptiMax direct-fuel-injected, two-stroke outboard engine. The new technology provides greatly improved fuel economy, smoother running and a reduction in hydrocarbon and carbon monoxide emissions despite delivering great speed and torque. 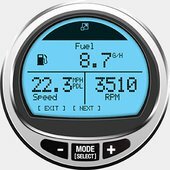 In 2002, Mercury’s exclusive SmartCraft technology accurately monitors vital engine systems, such as fuel usage, rpm, engine trim and efficiency, and delivers them in an easy-to-read digital display. The supercharged FourStroke Verado revolutionizes the outboard industry in 2004. Combining awesome power and speed, remarkably low sound levels and an unmatched driving experience, the award-winning Verado sets new standards for outboard performance and drivability. 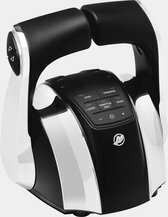 In 2008, Axius joystick control technology, the first in the industry for sterndrive engines, not only makes docking simple and stress-free, it also offers several advanced piloting technologies that improve the entire boating experience. The joystick puts throttle, shift and steering at boaters’ fingertips for amazing maneuverability and intuitive control. Mercury introduces the world’s most compact, lightest and most durable 150hp FourStroke outboard in 2012. It’s the first four-stroke engine to combine traditional two-stroke benefits — low weight, superb power and easy maintenance — with the advantages of advanced technologies. Also in 2012, Mercury consolidates its sterndrive, outboard and inboard manufacturing operations at the company’s world headquarters in Fond du Lac, Wisconsin. In 2012, Mercury also earns its first of seven consecutive Green Masters Awards in recognition of its exemplary sustainability practices. 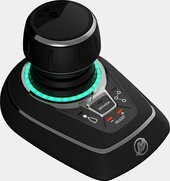 Mercury launches Joystick Piloting for Outboards in 2013, the first and most responsive joystick piloting system for large outboard-powered boats. Mercury Marine reaches several notable production milestones in 2014 — its 75th-anniversary year — including manufacturing its 75,000th Verado outboard and casting its 2.5 millionth propeller in its famed investment-casting facility. Also in 2014, Mercury launches new 75hp, 90hp and 115hp FourStroke outboards that offer the ultimate combination of power, thrust, unsurpassed fuel economy, extreme reliability and smooth, quiet operation – all in a lightweight, compact package. Introduced in 2014, the 4.5L MerCruiser sterndrive, which comes in 200hp and 250hp models, was designed and is manufactured at Mercury Marine world headquarters in Fond du Lac, Wisconsin. The 4.5L sterndrive is the first marine specific sterndrive built in-house, rather than building on a “marinized” automotive engine block. In 2014, the popular Enertia ECO propeller delivers 10% improved fuel economy at cruising speed, while maintaining exceptional performance and durability. Verado 350 debuts in 2015 as the most powerful engine in Mercury’s class-leading Verado family of four- and six-cylinder supercharged FourStroke outboards, ranging from 175hp to 350hp. Also in 2015, the Mercury Racing Verado 400R outboard is the most powerful consumer outboard ever produced by Mercury. It provides the highest power-to-weight ratio of all four-stroke outboards in its class, achieved through a number of advancements to the proven 2.6L Verado platform. Mercury announces the global introduction in 2015 of new 75 – 150hp SeaPro FourStroke engines, designed to provide increased durability and longer engine life in commercial applications without sacrificing power. The 6.2-liter V8 300hp and 350hp sterndrive engines, which are purpose-built for marine use, deliver increased power and torque in 2015 while providing a remarkably quiet and smooth ride. In 2016, Mercury embarks on a two-year program of significant investment in technology and infrastructure, including installation of North America’s largest die-casting machine, to enhance its manufacturing capabilities and new‑product development. In 2017 Mercury Marine returns to Lake X after a 13-year hiatus. Mercury originally began using the remote Florida lake and surrounding acreage in 1957 for secret performance testing of boats equipped with Mercury engine prototypes, R&D and new‑product testing. Introduction in 2017 of the 1750hp competition sterndrive raises the bar for offshore powerboat racing. The twin turbocharged, 9.0‑liter engine features exclusive aluminum four‑valve cylinder heads and a dual overhead camshaft valve train. Mercury Marine kicks off 2018 with its most ambitious set of new-product rollouts in its history with 17 all-new highly powerful, light and fuel‑efficient V6 3.4-liter and V8 4.6-liter outboard engines. In 2018, Mercury breaks ground on a new facility at its Fond du Lac campus dedicated to advancing Mercury’s already-leading technologies for mitigating engine noise and vibration.